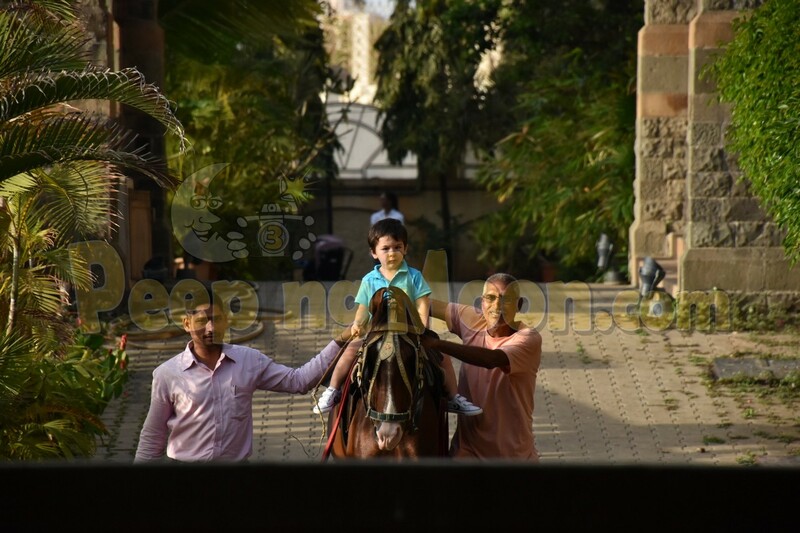 Taimur and his cousin Inaaya spent their Friday by enjoying at Amrita Arora’s residence in Mumbai on March 22. 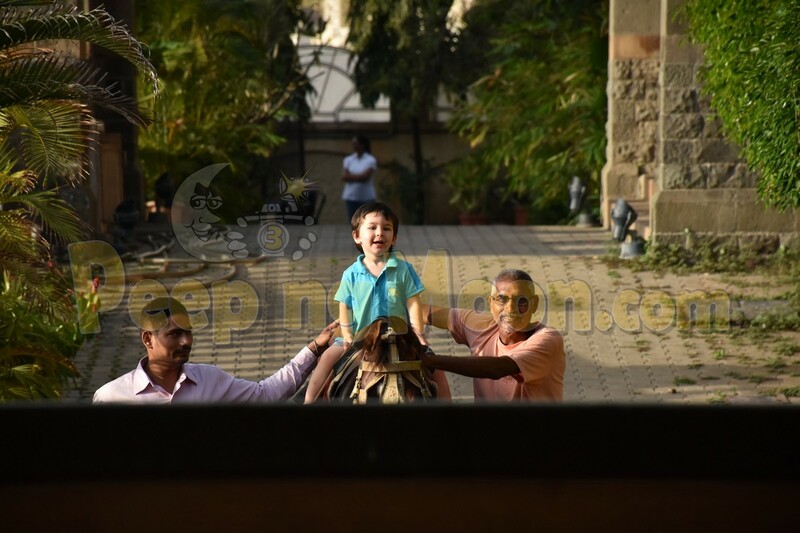 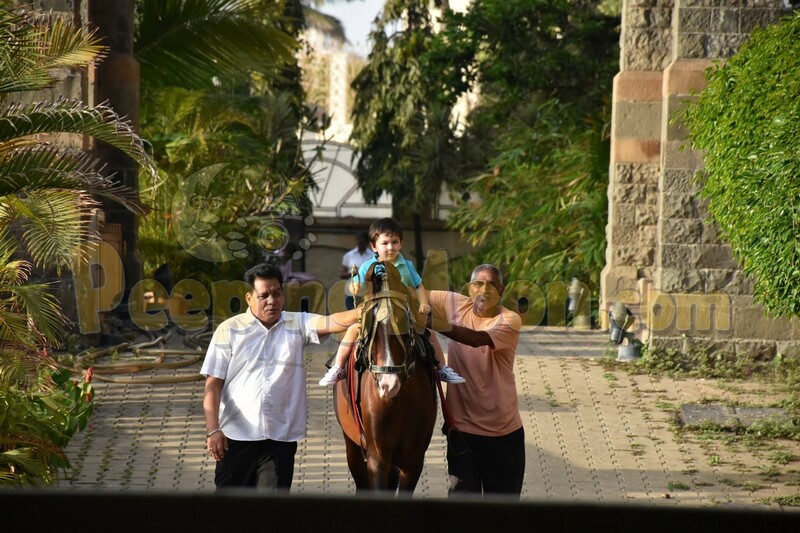 While Inaaya was spotted, cute as a button in a frock by the poolside, Taimur, adorable in a blue tee and shorts did his usual business – horse riding. 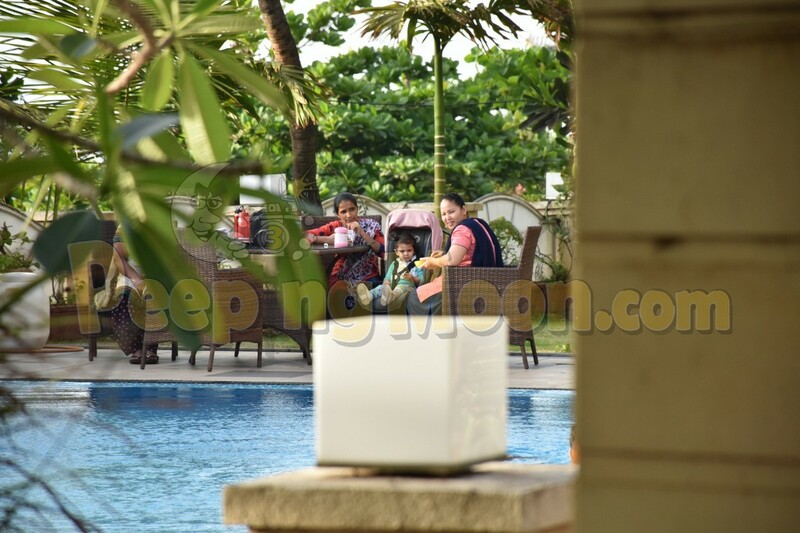 Meanwhile, Inaaya’s parents Soha Ali Khan and Kunal Kemmu were spotted at a restaurant. 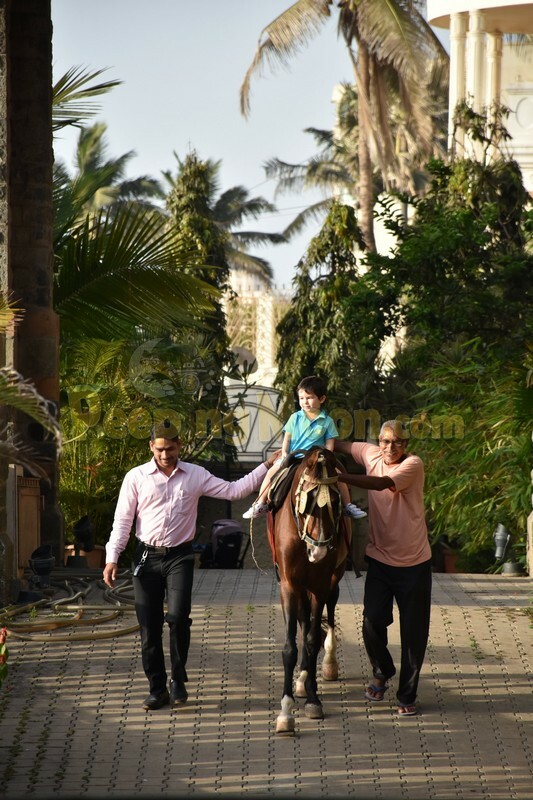 Soha, pretty in a green top and pants, smiled for the cameras while Kunal was dressed in casuals.